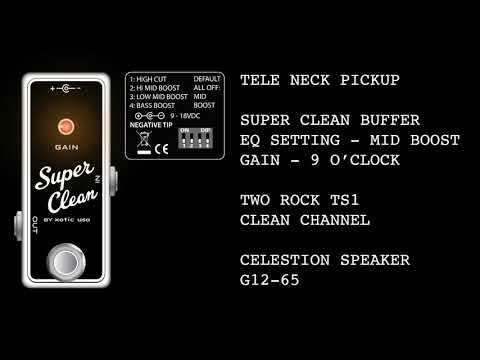 The Xotic Effects Super Clean Buffer pedal. FREE shipping in the USA! Have you ever felt that your tone is dull and flat when running through long lengths of cables & pedals (even with a buffered bypass pedal)? 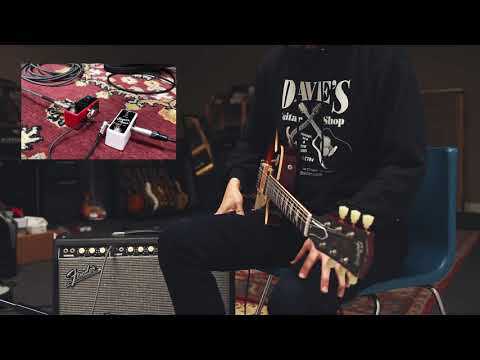 One main reason is that conventional pedal designers have neglected to design an efficient, high quality buffer circuit and as a result, we guitar players are used to many so called “lab designed” buffer pedals which turn out to be cold and sterile sounding. Premium components have been selected to ensure maximum durability and tone quality throughout the circuit including a super heavy duty foot switch, audio grade capacitors and custom designed potentiometer. No matter if you have an elaborated “refrigerator” rack or only plug into one pedal (and everything in between), the SCB maintains great tone with no loss of excitement and with a very little footprint.